Is my smart mobile device volume-limited? What type of information can be captured with DarioTM software? In addition to sugar levels, you can capture your food type and carbohydrate contents, insulin intake, physical activity, tag your meals, mood, and general state, and take notes. Is my data on the cloud stored safely? All personal data stored on the cloud complies with local and international privacy laws and regulations. Can I use Dario to calculate my insulin dosage? Dario includes an insulin calculator. How to turn on DarioTM test reminder? DarioTM can be set to remind you to test 1.5,2, or 2.5 hours past your last measurement. To set the reminder option select reminders on the app menu and tap the reminder time preferred. What types of devices can run with DarioTM app? 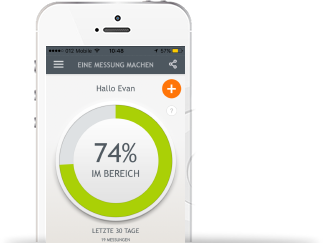 DarioTM app can be used without the meter, however the DarioTM smart meter – is the only true comprehensive Diabetes Management Solution. What do I do when there is an incoming call in the middle of my test? If you received an incoming call in the middle of testing your blood glucose level and haven’t yet received the result on the screen, you should replace the Dario strip with a new one and perform the test again. It is recommended to test in DO NOT DISTURB mode. How can you change the language of the DarioTM app? A default language is selected during the sign up process according to your region. However, you may change your language at any time in the account setting screen. Can a single log entry be deleted from DarioTM App? An entry can be deleted from the app. In the logbook list screen you slide the log entry to the right. Then you may select to edit an entry or delete it. Deleting an entry will permanently delete from DarioTM memory. I accidentally deleted my DarioTM application. Does this mean that I lost all of my readings and annotations? No. All your information is saved under your username even after deleting the application. You can re-install the DarioTMapplication or log into MyDario website to view all your data and charts.